Need to make a will but don’t know where to start? 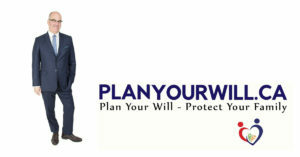 Plan Your Will > BLOG > Uncategorised > Need to make a will but don’t know where to start? Without a will, you lose control over your estate. A government formula dictates who receives your assets, and you have no say, in who will manage the business of your estate. Typically, people who don’t have wills also have not planned for potential loss of capacity. What happens in you can no longer manage your finances or personal care decisions due to medical condition? You know all of this, yet for whatever reason, you have not done this yet. Trust me, you are not alone. Over 50% of adult Canadians do not have a will. People have every excuse in the book ranging from lack of time, cost, lack of understanding of the process, to out and out superstition. Our FAMILY PROTECTION PACKAGE for COUPLES is an affordable, lawyer involved process, that allows you to efficiently and thoroughly prepare your will and powers of attorney with the guidance of a lawyer throughout. The process is simple. You complete our easy to use online questionnaire. Set up an in-person appointment to review the answers, and to go over potential money saving planning, review and approve a draft, and then return for a signing. Our clients consistently inform us that the process is simple, and easy, and that they feel a huge sense of relief knowing that they have taken the steps to protect their family. You will sleep better knowing that your family is protected. The Law Office of Stephen Offenheim was founded in 1995, and we have spent countless hours refining our process to ensure the highest level of professionalism and efficiency in the completion of these documents. Your time is valuable. We don’t waste it. • Support every step of the way. You are not alone. The entire process is guided by experienced Toronto area lawyers. Our lawyers are experienced, compassionate, and knowledgeable and guide your through every step of the process, ensuring the exact estate plan that is right for you. • A power of attorney for personal care. The cost for this package is only $699 plus HST. This price is available for a limited time only, so please don’t delay. Appointments are available at our downtown office at 200 University Avenue, in Toronto, or at Dufferin and Lawrence.